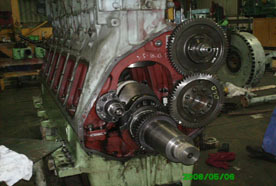 Complete overhauling & repairs of all kind 2-Stroke & 4-Stroke diesel engines (Main and Auxiliary). Overhauling & repairs of all kind machinery & equipment including main & auxiliary Air Compressor, LPG Compressor, Cargo pumps, Turbines, different types of Valves, pumps, etc. Complete repair, refurbishment & modification of hull structure including all Tanks, Pump room, Engine room, Accommodation, etc. 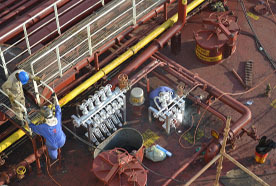 Also specializing in repairs of Cargo Hatch Covers & Accommodation Ladders. 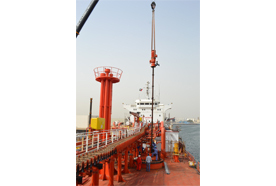 Worked on FPSO & MCV conversion project carrying out various kind of steel & piping repairs, modification & new construction. 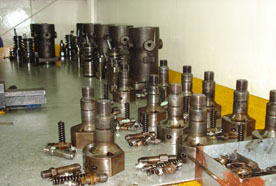 Fully equipped Mechanical & Machine workshop to carry out any kinds of Mechanical & Machining works (Marine & Industrial) including Propeller & Rudder Shafts, Propeller & Rudders, Connecting Rods, Cylinder Head & Pistons, IGS Impeller, Various Pumps etc Also equipped to carry out Dynamic Balancing of up to 2 Tons capacity. 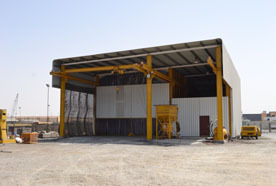 Fully equipped fabrication workshop to carry out fabrication of any structure & piping work including Rolling, Bending, Pressing, Punching, Shearing, CNC Cutting etc Fabrication workshop canters to both Marine as well as Industrial Projects. Both steel and aluminium. 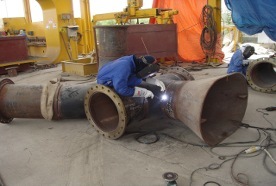 Repairs, renewal, modification & new installation of various Piping System onboard. 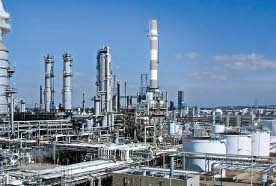 Fully equipped workshop to support piping jobs onbard, industrial piping and oil & gas sector. Complete overhaul of all kinds of Turbo Charger. Fully equipped workshop to carry out any repairs & dynamic balancing of turbocharger rotors. 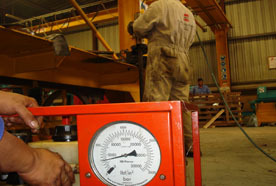 Fully equipped workshop to overhauling, reconditioning, testing & calibration of all kinds of Fuel Injectors & Fuel Pumps. Fully equipped workshop to cater all kinds of hydraulic repairs & experienced team to troubleshoot & repair hydraulic components onboard. 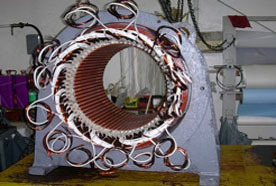 Servicing & rewinding of all kinds of electric motor, transformer & alternators upto 500 KW Maintenance & cleaning of main switch board, installation of various electric panels & wiring. Experienced riding team for all trades to carry out all kinds of repairs/maintenance works onboard anywhere in the world. 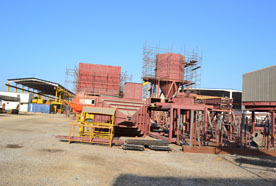 Equipped with facilities to carry out grit & hydro blasting. 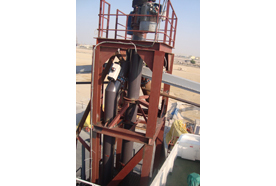 Possesses the equipment & technology to carry out the newer process of sponge blasting. 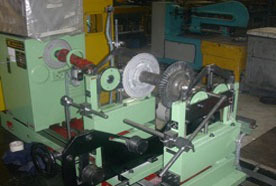 We are now offering a wide range of automation products that we can supply. 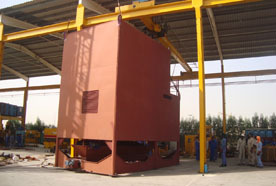 Installation and Maintenance can also be undertaken by us for all types of automation solution. From a well experienced automation team.